Some of the largest landowners in the county came to dominate Durham’s tobacco and textile manufacturing industries. speculation as Durham grew rapidly. Ownership information in this map is drawn from Gray’s New Map of Durham 1881. The Bird’s Eye View Map pictured here is from 1891. Exact boundaries of ownership are approximate. WHO OWNED DURHAM IN THE 1880s? The Dukes built one of the largest tobacco empires in the world. They also invested in textile factories, residential real estate, and Trinity College (later Duke University). Julian Carr was born into a wealthy landowning merchant family in Chapel Hill and fought for the Confederacy. He became one of Durham’s wealthiest industrialists, and founded Durham Hosiery Mills. The Parrish family owned North Carolina’s largest tobacco storage warehouse. Edward Parrish was one of the city’s early speculative real estate investors. Robert F. Morris was a rural landowner who became an early investor in the area around the Durham railroad station. He believed that Durham was destined to be the “Chicago of the South.” Morris’s son helped found Durham’s first tobacco factory. The Mangums were early land grant settlers in Durham County. They opened tobacco warehouses and a Blind and Sash Factory in the city to support new building construction. 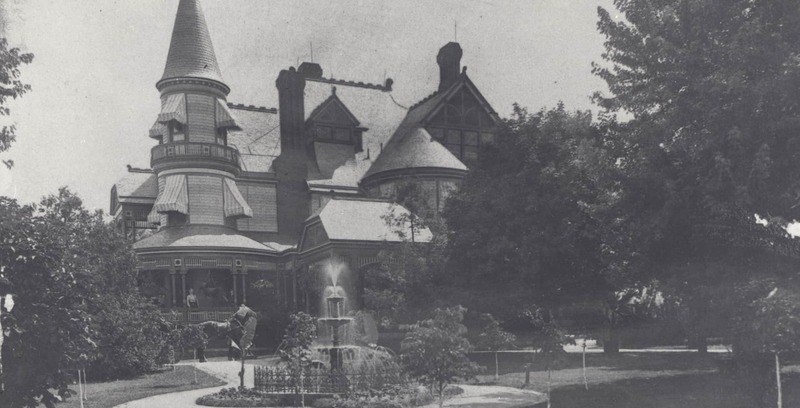 In Durham’s Gilded Age, the elaborate mansions of the industrial elite, like Washington Duke’s Fairview mansion pictured here circa 1890, dotted the urban landscape. They were located in close proximity to worker housing. The high ground near factories and commerce was prime real estate. 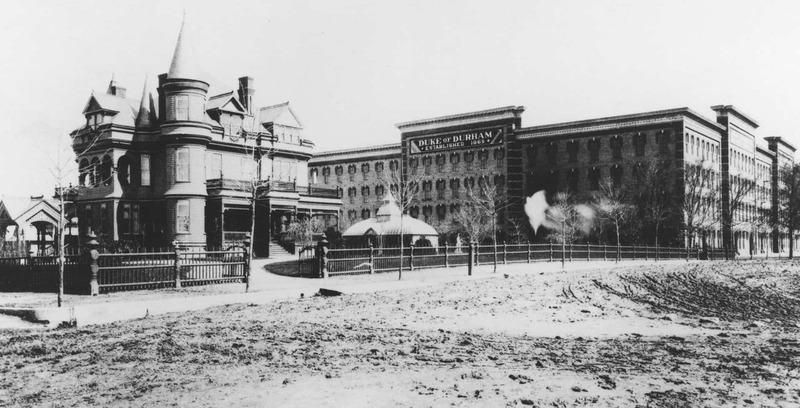 By the 1880s, Durham’s industrial elite owned the majority of the premium land in the central city. The next several decades were full of real estate speculation as Durham grew rapidly.